I have this one nailed! 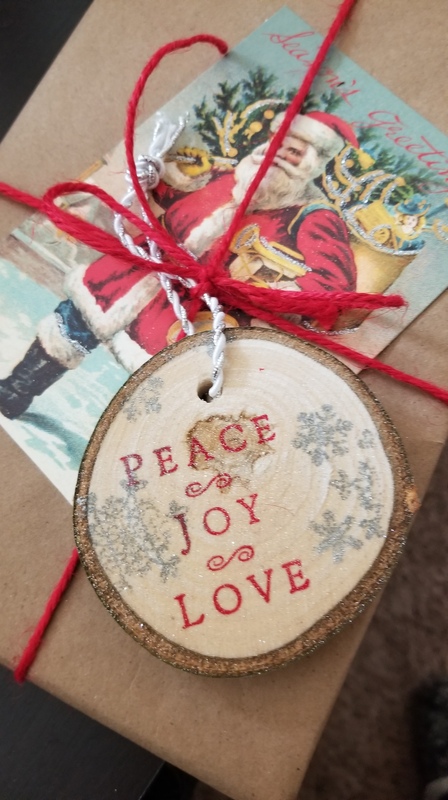 For the past few weeks I have been a busy bee creating holiday ornaments to give to some of the volunteers that I work with and other special people. A year ago when my parents were cutting down trees on our family farm and I asked them to cut me some wood slices from those trees. I have been drying the wood for a year and now they are ready to be decorated and turned into holiday ornaments. Decorating is the fun, but simple party. Really something any DYI’er can do. A simple stamp, ink pad, string and the thing that makes them pop is glitter spray paint. 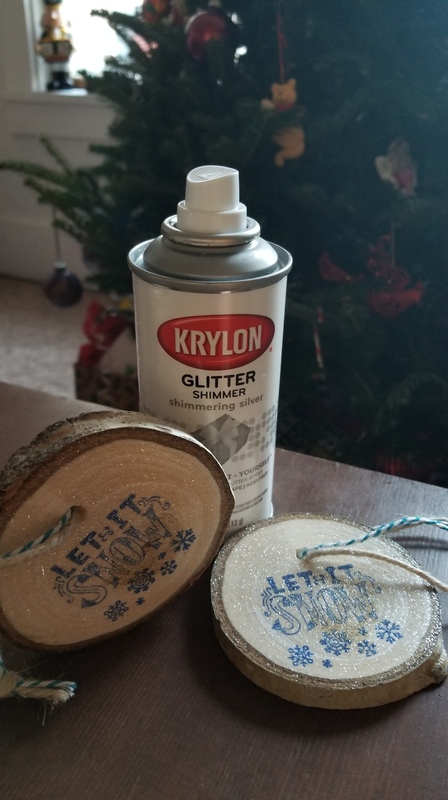 I like the Krylon Glitter Shimmer. Ta Da! You have an amazing natural Christmas tree ornament anyone would love and the best part it is all homemade!